Five Star Destinations, and the Heidi Houston Team has been specializing in home and villa rentals and operating in the Aspen, Snowmass and the Roaring Fork Valley for over 35 years. 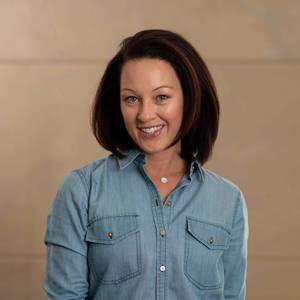 Heidi, as both the managing partner and one of the top rental specialist's in Aspen, Colorado, focus's on making sure each property is ready for your visit and each agent helps make your experience special. Heidi Houston has owned her own real estate business and rental business in Aspen and the Roaring Fork Valley for more than 35 years. She chose to join the brokerage company Compass in the spring of 2016 because of their specialized technology, international marketing, professional ad production and to expand her contacts and marketing abilities. Five Star is owned and operated separately as a travel agency that specializes in mid to high end condos, town homes and single family home rentals. Heidi specializes in real estate sales and rentals, the overall analysis of investment real estate and ranches. Heidi has managed real estate partnerships for developing land, building homes and remodeling homes. With over three decades of experience and knowledge about all aspects of real estate, she brings a complete and professional, confidential service to renters, buyers, sellers, and developers. She has raised her two boys in the Aspen Valley Schools, worked on many philanthropic projects and gives to charities in the valley that affect people both physically and mentally. She understands family, friends, dogs, horses and homes. Jackie knows service and knows how to help you find your rental and make your activities and experiences special. Originally from Durban, South Africa and a graduate of Stellenbosch University, Jackie has called Aspen her home for the last 18 years. She has worked in and around the fractional real estate business for the past 14 years with Ritz Carlton properties, The Residences at the Little Nell and Dancing Bear Residences. 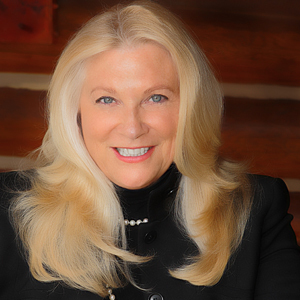 Her experience includes managing over 350 owners through departures and arrivals, as well as, being personal concierge in Aspen and beyond. Jackie knows what it means to be the “go-to-person.” Her understanding of the Aspen marketplace and devotion to service and professional integrity, has enabled her to build long-lasting relationships with her clients, colleagues, and real estate community in Aspen. When Jackie is not hiking with her black lab, she enjoys learning to make new culinary treats or dreaming about her next adventures abroad with her husband and daughter. Amanda comes to us originally from Washington D.C. and has been in the real estate business for over 20 years. She brings tremendous value to Five Star Destinations as her previous real estate work included working closely with developers and top brokers in assisting in management, sales and rentals. Ms. Virtue attended University of Virginia for her BA & the University of Miami for her Business Fine Arts Degree. Her education in the East, and growing up in Washington, DC brings together the East to the West. Her father founded the National Reconnaissance Offices, which trained her as a valuable asset for research. As one of our top rental agents in the travel business for over 8 years she has rented homes in the US, Europe and the Caribbean. She knows how to take care of all of your rental needs, and her personal travel experience opens up many special activities and she knows how to bring you a “Sense of Home”.